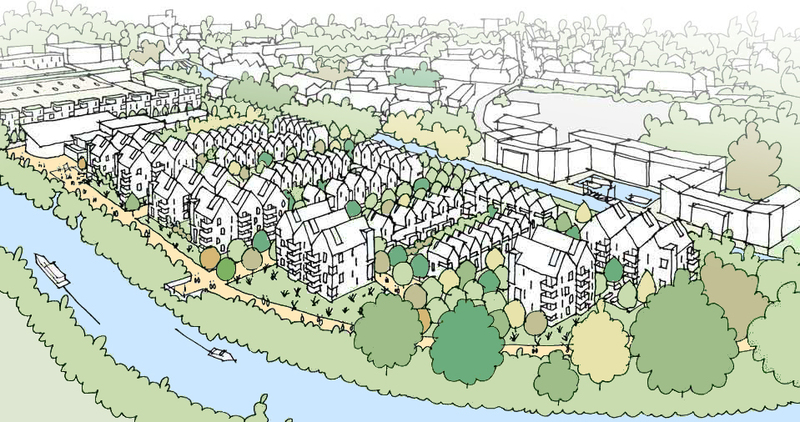 Mixed Master plan for a major site in the heart of Chelmsford, including 170,000 sq.ft of A1 and A3 retail, a 90 bedroom hotel, leisure facilities for a canoe club and 185 residential units. Our design proposal indicates a combined design strategy for both of the sites with an enhanced riverside public realm. The residential layout is legible and encourages green connections and views to the surrounding landscape, focal points and waterways.